COMMENTS: This salt is substantial and the prettiest shade of pink! I'll never buy a bag from another supplier based on the hue alone. Super lovely and looks stunning in contrast to herbs and botanicals. The granules are the perfect size as well. COMMENTS: This will be used for my bath salts. COMMENTS: Nice medium grain and beautiful pink color. 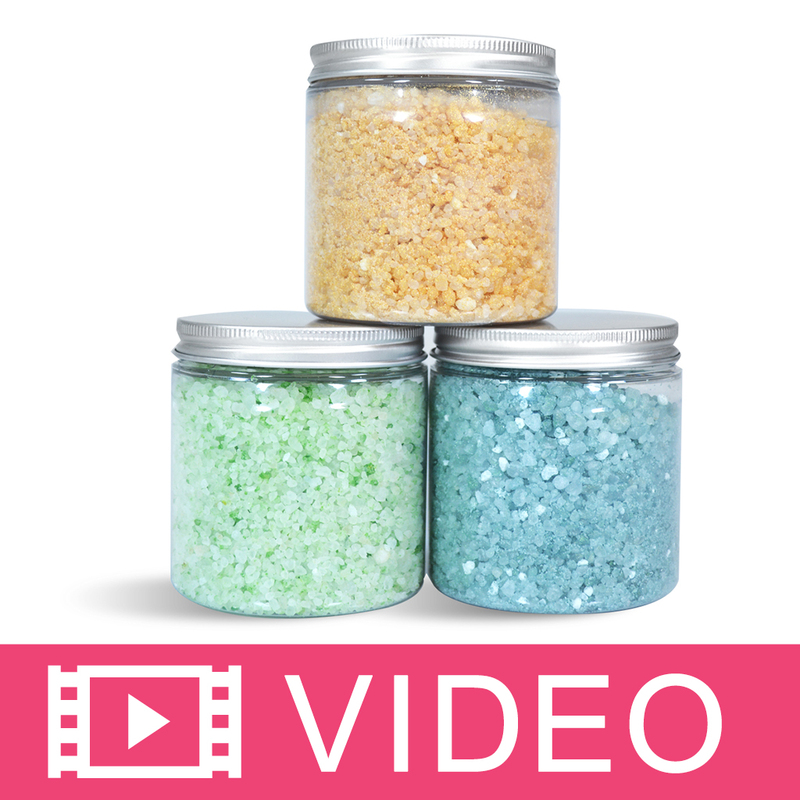 Great for salt scrubs, bath soaks, and on top of cold process soaps. COMMENTS: I loved this! I used this salt in a rose bath salt set. It looks so pretty! COMMENTS: Works very well with exfoliating the skin leaving it nice and smooth. 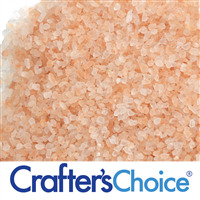 "Crafters Choice™ Pink Sea Salt - Medium"
"Great pink salt very clean"
COMMENTS: Great pink sea salt. Nice medium grain great for salt scrubs and bath soaks. Dissolves well in water. Nice beautiful pink color! COMMENTS: I use this for bath salts and soaps, I love it! Great grain size and gorgeous natural color. COMMENTS: With mother's day coming, I made a bunch of bath salts and packaged them in hermes jars. I combined three different salts that I purchased from WSP and the Pink Sea Salt was one of them. They color adds that little extra something that really makes the salts look as special as they are for their beneficial purposes to the skin. Will be purchasing these again. Received many compliments. "Great for Bath Soaks and Salts"
"Love the Pink Sea Salts!!!" "Exactly what I was looking for! " COMMENTS: This Pink Himalayan Sea Salt is EXACTLY what I've been looking for! The medium grain is the PERFECT size for adding that special touch of decadence to the top of CP loaves! The size & texture of the grain makes it an ideal additive to bring appeal to products, and rounded (not sharp) edges make this salt an effective, yet gentle natural exfoliant! The varying hues of gorgeous pink make products eye-catching & glamorous! I'd been looking locally for this salt, and although I found plenty, none had the exact qualities I was looking for... Some were too big in grain size and/or too sharp in texture. Others were much too small. Most lacked that beautiful variance of eye-catching color I wanted, and the ones that didn't, came in packaging impossible to get the salt out without having to pry off a lid-grinder and hope with all hope I wouldn't inadvertently break the glass bottle in the process! I am SO GLAD I decided to purchase this salt from WSP rather than locally, as ALL the issues I had with local suppliers don't apply here! With such an incredible price & how generous WSP's sizes are, this is a product I will purchase NOWHERE else! Thank you WSP, for always solving my dilemmas & supplies needs! • Perfect size & texture for topping CP! • Beautiful varying shades of pink! • Outstanding quantity, quantity & price! COMMENTS: Used in bath salt blends. Adds nice color to the blend. COMMENTS: Really like all the pink Himalayan salt sizes. 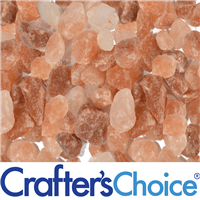 Beautiful colors and lends a high end appeal when used as a main ingredient in bath salts. Am able to charge a premium price for these mixtures. COMMENTS: I used this salt in my bath salt jars. The pink looks very nice in the jar. Customers made many comments on the pretty look of the pink salt in the jar. I would buy this again. COMMENTS: These are such pretty pink salt crystals! I love mixing them with white salts in bath salts and bath teas for a beautiful pop of color, the pink salt has an amazing mineral content as well. COMMENTS: I PUT THIS SALT IN MY 4OZ FRENCH GLASS BOTTLES AND LOVE IT!! I MADE THIS SALT WITH SOME BLACK SEA SALT AND FRAGRANCE OIL AND THE CUSTOMERS LOVE IT! COMMENTS: I use this in cold process and bath bomb recipes and also as a decorative touch. nice quality and gives an upscale feel. 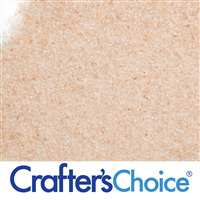 "Pink Sea Salt - Medium"
COMMENTS: Perfect in my bath salt scrub recipes! Will continue to buy this blend again & again!! COMMENTS: I'm so excited that WSP is carrying this now. The pink hues are beautiful and I can't wait to use them in my products! "Is pink Himalayan Sea Salt the same as the ones used in bath salts ? or are they different? Trying to understand these pink salts. TY"